Individuals who have been diagnosed with type-1 or type-2 diabetes are advised to have their eyes checked regularly to prevent vision problems related to their condition. The high blood sugar levels that occur with diabetes can have a detrimental effect on eye health, causing diabetic retinopathy that can lead to vision loss. At Richardson Eye Associates in Richardson, TX, we provide comprehensive eyecare, including monitoring for diabetic retinopathy. Diabetes is a condition that causes high blood glucose levels because of a problem in the production of insulin, which removes glucose from the body. When sufficient insulin is not available, the glucose builds up in the bloodstream and causes damage to the blood vessels. The delicate blood vessels in the eyes are especially vulnerable to this damage. Effective treatments are available to prevent vision loss from diabetic retinopathy. During your regular eye exams, your eye doctor will carefully inspect the interior structures of your eyes for any changes that could indicate damage to blood vessels. Diabetes is also associated with an increased risk for cataracts, a clouding of the lens of the eye, as well as glaucoma, an increased pressure within the eyes. Symptoms such as dark spots, flashes of light, blurry vision or loss of vision in either eye should prompt an immediate visit to your eye doctor. Managing your blood sugar levels is one of the most important actions you can take to prevent vision loss from diabetic retinopathy. A number of treatments are available to halt damage from diabetes. These may include laser photocoagulation to stop bleeding or fluid loss in the eyes, vitrectomy to control bleeding and scarring, or an injection of special medications into the eyes to stop the growth of new blood vessels in the eyes. Your Richardson optometrist can help ensure your continued eye health, even if you have diabetes. 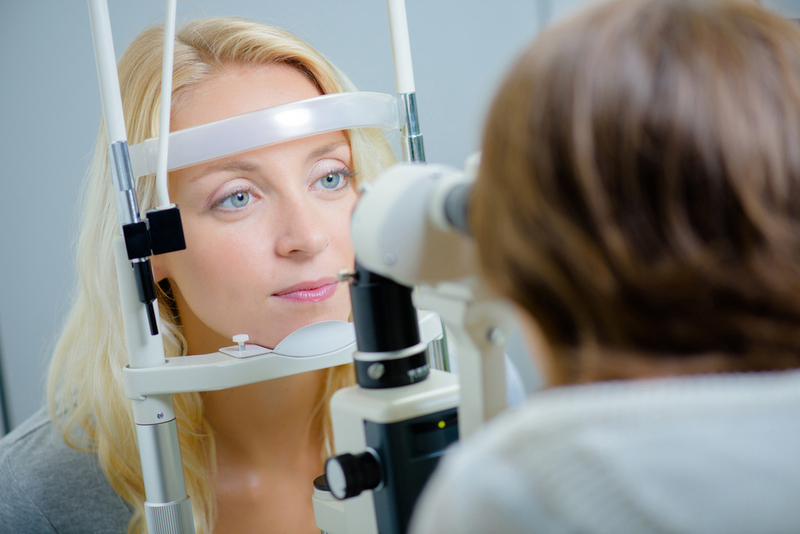 You will receive a comprehensive eye exam, including inspection of the interior eye structures, to detect any changes in the condition of blood vessels that signal a potential problem. Regular visits to your eye doctor will help you to avoid vision loss related to high blood sugar levels. Dr. Krauss and Dr. Harris have dedicated their lives to providing quality eyecare for their patients in Richardson, TX and nearby communities. We offer a range of vision care services, including comprehensive exams, contact lens fitting, dry eye care, LASIK consultation and pediatric eye care. Call Richardson Eye Associates today at 972-231-3439 for an appointment to have your eyes checked regularly to prevent diabetic eye problems.